You are browsing the archive for open Summer of code. Crowdsourcing the next open Summer of code speakers. Last saturday we organised ‘SWACKday’, a hackday attended by our #oSoc14 students and a few candidates for #oSoc15 (hell yeah, new blood). The focus of this hackday was on building the new version of the Apps for Ghent website as initiated by team SWAG during the Apps for Ghent hackathon, see presentation. Which ended up in mostly setting up Vagrant boxes. But besides coding for team SWAG, we also had this motivated team gathering input and thus co-creating open Summer of code 2015. They did everything from (re)writing our Code of Conduct, creating an ‘open badges‘ achievement system for the students, brainstorming about which tools we should use (Taiga.io ftw! ), what locations and partners would be awesome AND last but not least what speakers we should invite during #oSoc15. 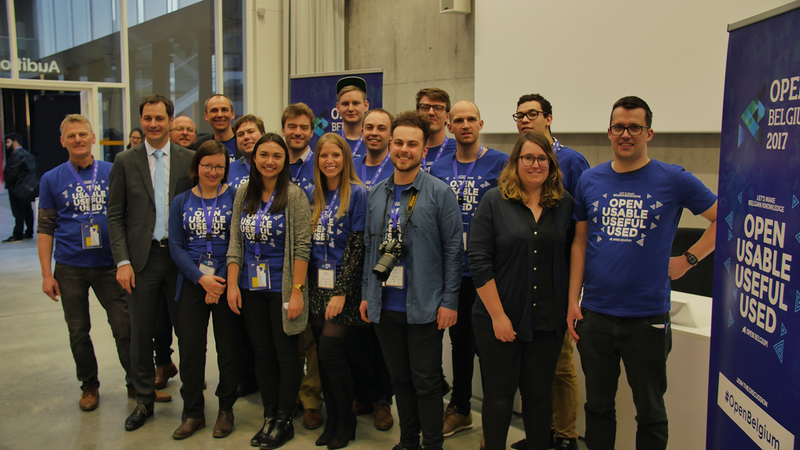 Last year we had the honour of having Hans Verscheure, e-Government manager of the City of Kortrijk, Ruben Verborgh, semantic researcher at MultiMedia lab and Phil Archer of W3C coming over to talk and interact with our students. This year will be no exception if one or more of these wonderful proposed speakers wants to join us for a lunchtalk. Comments Off on Crowdsourcing the next open Summer of code speakers.